Whether you're building a new home, adding an addition or remodeling, we have the windows to assist with your project. We carry many styles and types of glass block windows as well as vinyl replacement windows. All of our products are produced with the highest of quality. We have five locations serving the Northeast and Midwest, staffed with design professionals and ready to help you take your project from concept to completion. 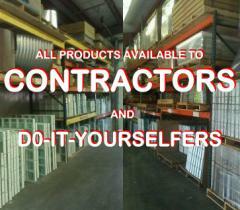 We also have a nation-wide network of dealers that can deliver our products anywhere in the US. Click on any of the links below for product information.